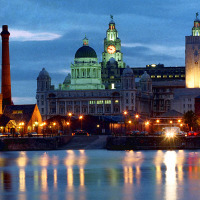 The founder of the Clipper race highlighted Liverpool as a "significant site for UK maritime history" as the announcement was made. What is the Clipper race? The 11-month-long race will see crews of amateur sailors travel around the globe following a 40,000 nautical mile route. They'll take in Cape Town, Sydney, China and New York along the way. The teams will set sail on August 20. Sailing enthusiasts wanting to take watersports holidays in one of the cities can arrange specialist watersports travel insurance. Liverpool will also welcome the returning sailors, as the city is hosting the finish in 2018. The city "embraces and thrives" on such maritime events, says Liverpool mayor Joe Anderson. He highlighted the city's "much celebrated" affinity with the river and said the Clipper event was "sure to attract thousands to our world-famous waterfront". It's not the first time Liverpool has hosted the event, and founder Sir Robin Knox-Johnston recalled the "warm reception" at the previous race a decade earlier.